We all want to enjoy a home that is both comfortable and stylish. However, hiring an interior designer can be an expensive mistake if you do not know what you are doing. While working with pros like Flik and Company is a great first step in your home décor project, it is also important to identify your style and understand the process in order to get the best results. 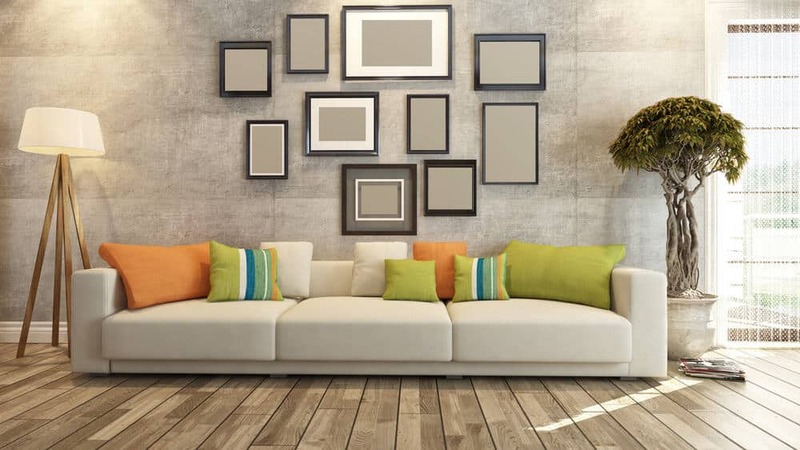 Whether you have just moved into a new home or are looking for ways to update your current space, there are a couple of little-known décor tricks that can help you achieve great interior design. Nothing transforms a space faster and cheaper than a fresh coat of paint. However, it is also vital that you to use the right colors in order to get the best effect. The most important rule of thumb to remember is the three-color rule. Essentially, this means that you should pick a color scheme that includes no more than three colors or shades. Pick one main color for the walls, another as an accent color for larger pieces such as furniture, and a third shade to provide pops of color in the smaller accessories around your space. This formula works in any combination, whether you want lots of colors or you prefer the monochromatic look. Texture is just as important as color to any cohesive design. This is especially true if you decide to go for a single-color scheme in your décor. The best way to add texture to any space is by incorporating various textiles and fabrics. Not only will these different elements create a warm environment and please the eye, but they will also keep your final design from looking boring or uninspired. When picking out fabrics for your home, consider your lifestyle. Do you have kids or pets? Do you entertain often? These are just some of the factors that will determine what textiles you can use. For example, a light cotton sofa probably isn’t the best choice for a home that has children running around. Conversely, you could opt for fabrics like silk or velvet for a classy, sophisticated look. Also, area rugs are the perfect way to add texture while giving your space some much-needed warmth and personality. Old and new, cheap and expensive, patterns and textures – any great interior design incorporates a rich mix of these elements. A key part of decorating your home is ensuring that it reflects your style and personality. Therefore, focus on picking items that tell a cohesive story. This applies to all aspects of the design, including furniture, art, and any other accessories you may want to incorporate into your living space. Plants are an affordable way to accessorize your home, as well as add some color and texture. Not only are they pretty, but they also keep the household air clean and balance the humidity. This can make any space feel more open and airy. So add as many as you want to every room, making sure to pick an interesting mix of colors, sizes, and shapes in order to incorporate your personal flair into the design. Did you know that you can use mirrors to make a small space feel larger? You can achieve this effect by placing a few decorative mirrors in strategic spots around your home. Furthermore, they can add instant light to your living space. If you have any room that receives a limited amount of natural light, simply place a mirror directly across the window there. This is a surefire way to make any space look brighter and airier. You can also use mirrors to fill up any empty spaces instead of art, or add some dimension to your living spaces.